Only six more Tuesdays until Election Day on November 7. The NYSUT Regional Office in Hauppague invites retirees to volunteer a few hours to work the pre-election phone banks. Take a few hours out of your day to remind fellow NYSUT retirees to vote in November, and the importance of casting a vote against the proposed Constitutional Convention. 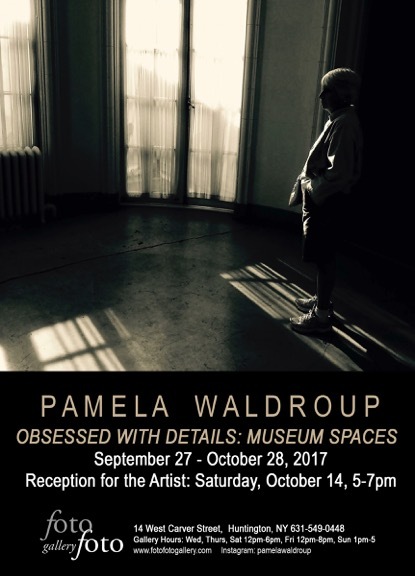 Retiree hours are 10:30 a.m. to 1:30 p.m.
R-UTN member Pamela Waldroup is proud to announce “OBSESSED WITH DETAILS: MUSEUM SPACES”, her first solo photography exhibit in fotofoto gallery as a fotofoto gallery artist! 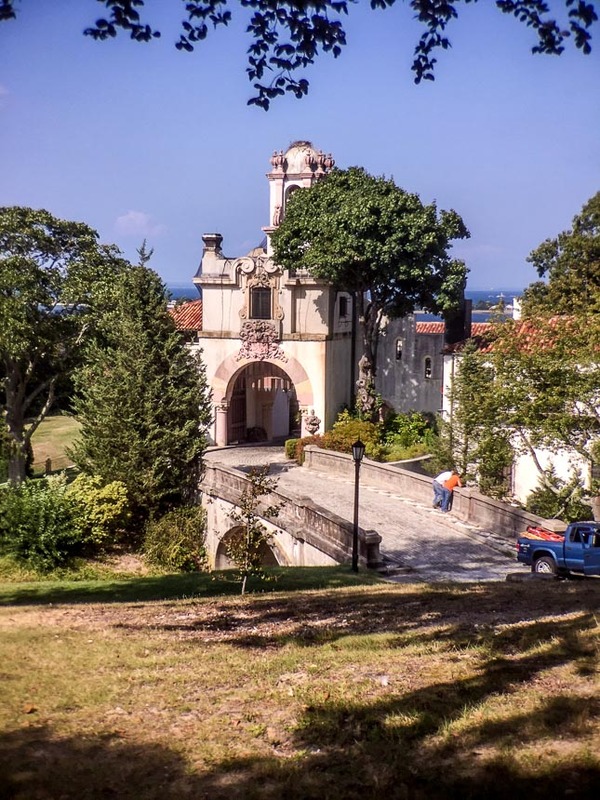 Pamela, who retired as an Northport High School art teacher in June, would like to invite fellow R-UTN members to the exhibit reception on Saturday, October 14 from 5 – 7 p.m. Fotofoto Gallery is located in Huntington Village at 14, West Carver Street, around the corner from the Paramount. Her photographs will be on exhibit from September 27 – October 28. 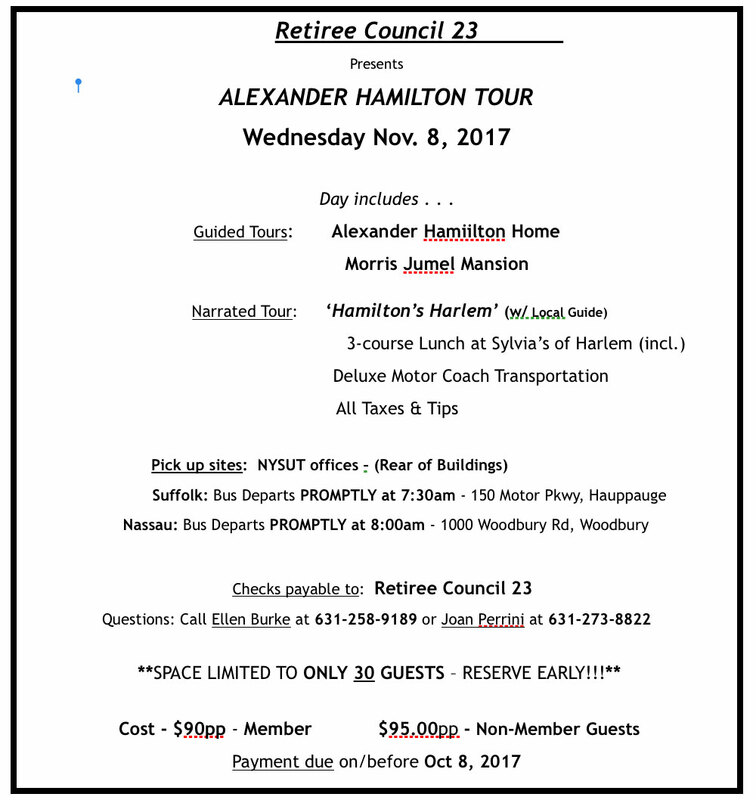 Vanderbilt Mansion on Tuesday, September 12. Over 80 of our colleagues gathered to enjoy the perfect weather, the views of Northport Harbor and the great food from Anderson’s Deli in Kings Park. Our Executive Board members were given a round of applause in appreciation of their hard work on our behalf. Our new members Angela Mislowack, Pam Waldroup and Margaret Minardi were given a warm welcome as well. The Vanderbilt graciously invited attendees to view the new Planetarium Sky Show in the afternoon. Thanks to Teddy Emanuel for taking photos of our picnic. Visit our Photo Gallery to see more picnic photos. The Picnic opens a new year of activities for the R-UTN. Our Winter Luncheon will be during the first week in December. Details will appear in our newsletter and on our website. To keep up to date with all the R-UTN activities and projects, members should visit this website regularly. There is still time before the Oct 1st deadline to send in your membership renewal forms and dues checks – do it today if you have not responded yet. The 2017-2018 Membership Form can be downloaded here if you have misplaced the one mailed to you. Our next Executive Board meeting will be Monday Oct 2nd at the Northport Public Library at 10 am – all are welcome.